The Book Crowd: Looking for something new to read? Have you read everything your favourite author has written? Or maybe you're looking to explore new genres. 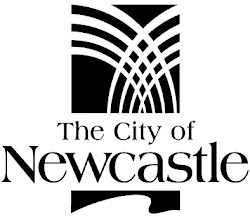 Newcastle libraries have some excellent e-resources that can help. Brimming with new book ideas for children and adults, Novelist Plus is a comprehensive guide to help you identify new authors and genres. Try the appeal mixer to find the style that you really enjoy. Offering in depth analysis, reviews and plot summaries of fiction, the Literary Reference Centre is a valuable resource for students and serious readers. Login with you library card number to access this readers guide to adult fiction authors. With a variety of ways to search, including lists of award winners, Who Else Writes Like is a fabulous way to find a new book.